A primary school in Coppull has been closed after two classrooms were flooded by a faulty water heater, says Lancashire County Council. St Oswald's School in Spendmore Lane was closed on Monday after three inches of water were found in the classrooms. Council bosses say a decision was made to close the school as there is currently no water supply at the building. 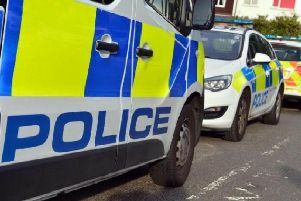 And in a completely separate incident, police were called to the school in the early hours of Sunday morning after a car was reported to have driven into fencing at the site. Police said the driver has not yet been located. A spokesman for the council said: "This morning there staff at the school discovered classrooms had been flooded. "The cause is believed to be a faulty water heater. "And in a completely separate incident, we were notified by police that a car went into the fence at the school. "Police attended and they say that a car mounted a pavement and drove off." The school has confirmed that it fully expects to reopen on Tuesday. Anyone with information regarding the crash is asked to contact police on 101 quoting log reference 398 of April 15.